This is 2 coats of Excuse Moi! And it turned out quite pretty! Very glowy. This color changes depending on what you are wearing. I had on a teal dress and the glitter particles wanted to seem teal. The glitter has some green, blue, silver, red, pink, yellow! Perfect for Ms Piggy's color! This is the only glitter that I picked up from the Muppets Holiday 2011 OPI collection, I also picked up another 4 from the remainder, which I have to wear. But you will see them before the month is out. 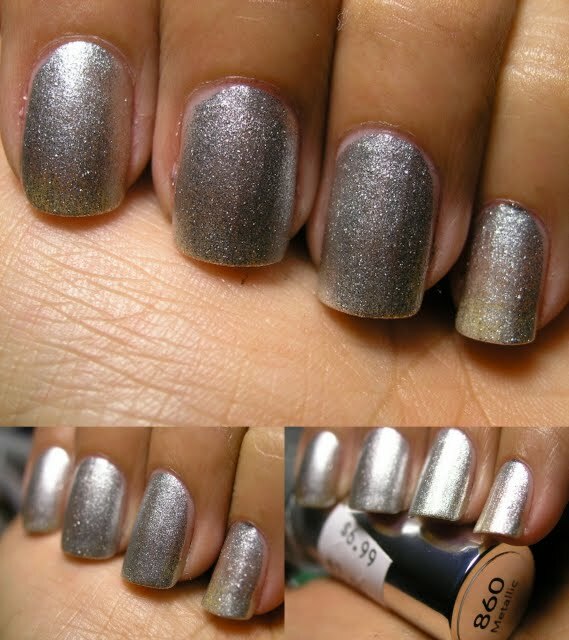 This is one coat of Metallic, as I knew that i was only using the color as "underwear"